Compact and easy to use, this lever-style model fits securely over the bottle and sports a long handle for plenty of leverage. 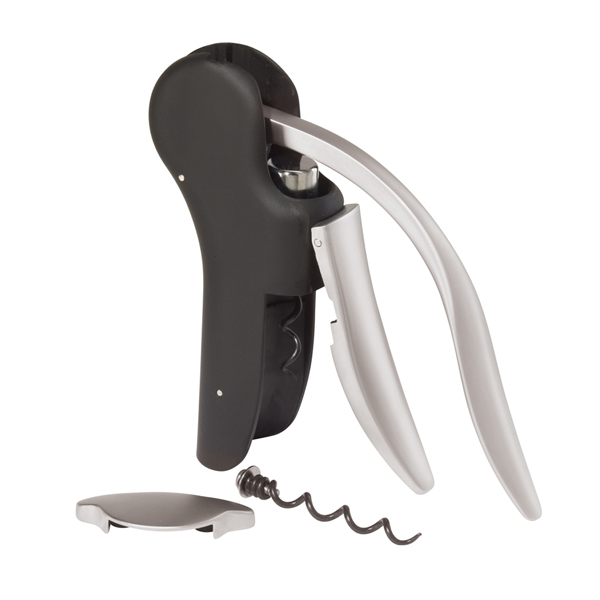 It even features a foil cutter and an extra corkscrew worm. The cork emerged from the bottle cleanly and easily, and came neatly off the worm with a second pump of the handle.